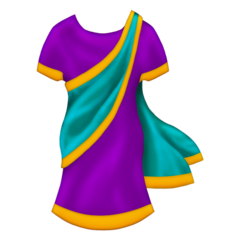 🥻 is an emoji featuring a sari, a garment traditionally worn by women from South Asia. It was introduced in Unicode 12.0 in 2019. 🪔 is an emoji featuring a diya lamp, a kind of oil lamp. It was introduced with Unicode 12.0 in 2019. 🛕 is an emoji featuring a Hindu temple. It was introduced with Unicode 12.0 in 2019.